Antonio and his band of Christmas goblins can be found all over Rune Midgard. Defeat them for some rewards. Rumor is it he has the hairband of the most famous Reindeer of all, and he won't willingly share it. His bag may contain other treats and goodies this holiday season. January Costume Box in the Cash Shop for 300KP! Thank you for all your ExtraLife donations! Rewards will be distributed over the next few weeks. Thank you for your patience! Tune into our next livestream Crazy Uproar over at twitch.tv/warpportal on Friday, December 4 at 3PM PST! We're STILL giving away FREE 7-Day VIP Codes! To learn more about how to redeem them on stream, click here! XP and Item Drop Event: December 100% XP and Item drop bonus event continues for one last week! Card Drop Rate Event: All cards will have their drop rates increased by .02%, continues for one last week! Holiday Season Gift: Santa Klaus has returned to Prontera (157, 198) for the holidays! Come visit him for your holiday gift! Continues for one last week! 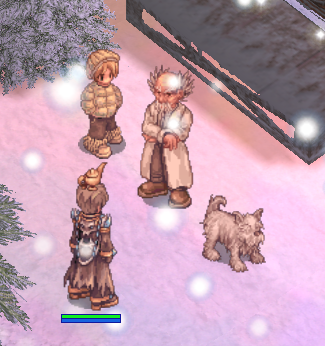 Christmas Event: A retired Santa can also be found in Prontera (155, 284). He could use your help, so be sure to visit him! Continues for one last week! Antonio Event: Antonio and his band of Christmas goblins can be found all over Rune Midgard. Defeat them for some rewards! Continues for one last week! WPE Conversion Event: Ends on 1/4 at 2pm! All WPE conversions will receive a bonus 10% points when converting to game energy! Weather: A snow storm is incoming to many major cities on classic. Card Drop Rate Event starts. All cards will have their drop rates increased by .02% Only 2 weeks left! For the entire month of December we are running a 100% EXP/Drops event instead of any spotlight bonus. Please enjoy increased rates for the entire game! Tune into our next livestream Crazy Uproar over at twitch.tv/warpportal on Thursday, December 27 at 3PM PST! Each stream we're giving away FREE 7-Day VIP Codes! To learn more about how to redeem them on stream, click here! XP and Item Drop Event: December 100% XP and Item drop bonus event continues! Card Drop Rate Event: All cards will have their drop rates increased by .02%! Holiday Season Gift: Santa Klaus has returned to Prontera (157, 198) for the holidays! Come visit him for your holiday gift! Christmas Event: A retired Santa can also be found in Prontera (155, 284). He could use your help, so be sure to visit him! Antonio Event: Antonio and his band of Christmas goblins can be found all over Rune Midgard. Defeat them for some rewards! WPE Conversion Event: Starting 12/21 2pm PST All WPE conversions will receive a bonus 10% points when converting to game energy. This bonus event will end on 1/4 at 2pm! *New* Event Setting: No consumables, healing skills increased by 100% this week only. Join the iRO Festive Video Awards contest! Create your best Ragnarok holiday video for a chance to win some prizes! Contest ends December 25, 11:59PM PST! *NEW* Antonio and his band of Christmas goblins can be found all over Rune Midgard. Defeat them for some rewards. Rumor is it he has the hairband of the most famous Reindeer of all, and he won't willingly share it. His bag may contain other treats and goodies this holiday season. Were putting the finishing touches on this event. But its not quite ready yet. It will go in next week and the event duration will be extended into January. Currently the item is working on Sakray. However there is a small chance that it will not work on the live build. If that is the case it will be pulled and replaced with something new. Tune into our next livestream Crazy Uproar over at twitch.tv/warpportal on Tuesday, December 18 at 3PM PST! Each stream we're giving away FREE 7-Day VIP Codes! To learn more about how to redeem them on stream, click here! Tune into our next livestream Crazy Uproar over at twitch.tv/warpportal on Tuesday, December 11 at 3PM PST! Each stream we're giving away FREE 7-Day VIP Codes! To learn more about how to redeem them on stream, click here! We're looking into the Helm Of Abyss job restriction issue.